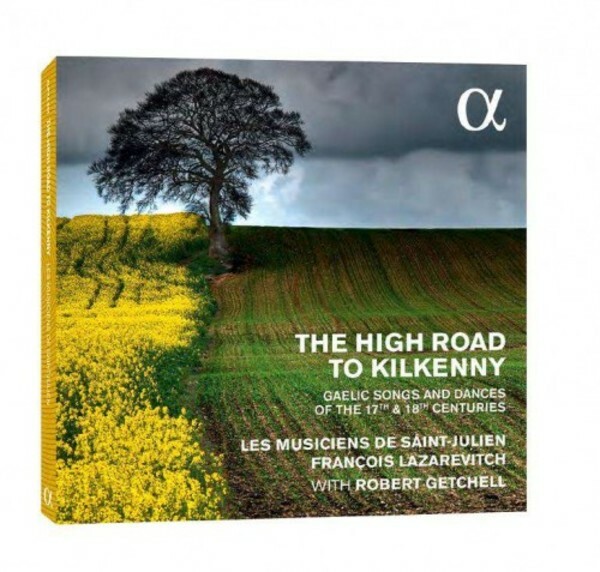 After the success of For ever Fortune, early music from Scotland, François Lazarevitch continues his exploration of the ‘Celtic’ repertories with a new programme devoted to early Irish music. This repertory of old airs from the seventeenth and eighteenth centuries consists of dances, songs in Gaelic and varied instrumental pieces: they tell tales of wars, of love, of strong drink and tobacco, of children and bards. A leading specialist in the flute and bagpipe families, François Lazarevitch opens out new horizons of colours and sounds. He has gathered around him here a number of distinguished performers of early music (including the fabulous Baroque violinist and fiddler David Greenberg) and invited the American tenor Robert Getchell, who cuts a very credible figure as a singer going back to his roots.